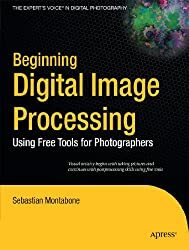 In this book, he teaches image processing techniques of ascending difficulty based on freely available tools. The book teaches you to use the best tools for the job, and it focuses on the techniques, not the environments or toolchains in which they run. Several free and open source programs are covered such as GIMP, Hugin, Luminance HDR (formerly known as Qtpfsgui), UFraw, Imagemagick, exiftool, and avidemux. 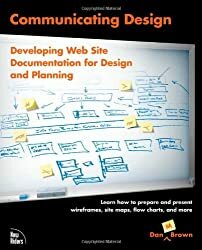 Most discussion about Web design seems to focus on the creative process, yet turning concept into reality requires a strong set of deliverables—the documentation (concept model, site maps, usability reports, and more) that serves as the primary communication tool between designers and customers. Here at last is a guide devoted to just that topic. From usability reports to project plans, content maps, flow charts, wireframes, site maps, and more, each chapter includes a contents checklist, presentation strategy, maintenance strategy, a description of the development process and the deliverable’s impact on the project, and more. Wireshark is rated #2 in the Top 100 Network Security Tools by sectools.org. Wireshark is the world’s most popular network analyzer tool. 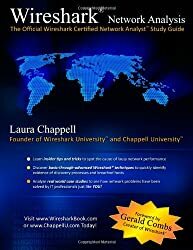 This book is the ultimate resource on Wireshark which is a MUST HAVE tool used by network IT professionals to troubleshoot, secure and optimize networks. Readers learn to capture wired and wireless traffic, focus on the cause of slow web browsing, identify why applications don’t run properly across the network, locate the cause of poor VoIP call quality, determine why WLANs are plagued with problems and more. This entry was posted in Authors and tagged giveaway on April 6, 2011 by Mario Lurig.